Jr. Development clinics utilize a 75% compressed green dot ball and a 78’ court (full size court) to help players between the ages of 10 and 13 and staying within the parameters of the USTA (United States Tennis Association). All packages are 6 week long sessions. Your session begins on your first day of tennis. Clinics and lessons will be tracked by tennis attendants. Beginner Level - For beginner players with little or no tennis experience. Week One: Introduction to forehand ground strokes, grip, and spin. Intro to parts of the court and racket. Week Two: Introduction to backhand ground strokes, grip and spin. Week Three: Review of forehand and backhand ground stroke, grip and spin. Introduction to scoring. Intermediate Level - Players with some tennis experience who can demonstrate proper strokes at times. Prerequisite for intermediate level: Knowledge of scoring, ground stroke grips, parts of the court and the forehand and backhand ground stroke components. Players must have a fundamental swing using topspin, and be consistent with getting balls into play using drop feeds and toss feeds. Team JD - Players who have achieved a high level of ability that can handle full speed and court of Green Dot Balls. Players will continue to work on their strokes, court coverage and strategy. Prerequisite for Team J.D. : Technical knowledge of the serve, grip, swing and types. Show proper footwork with ground strokes. Player should be able to do the following skill set: Hit 7 out of 10 fed forehands and backhands cross court and down the line and rally 10 balls in a row with a coach using forehand or backhand ground strokes. 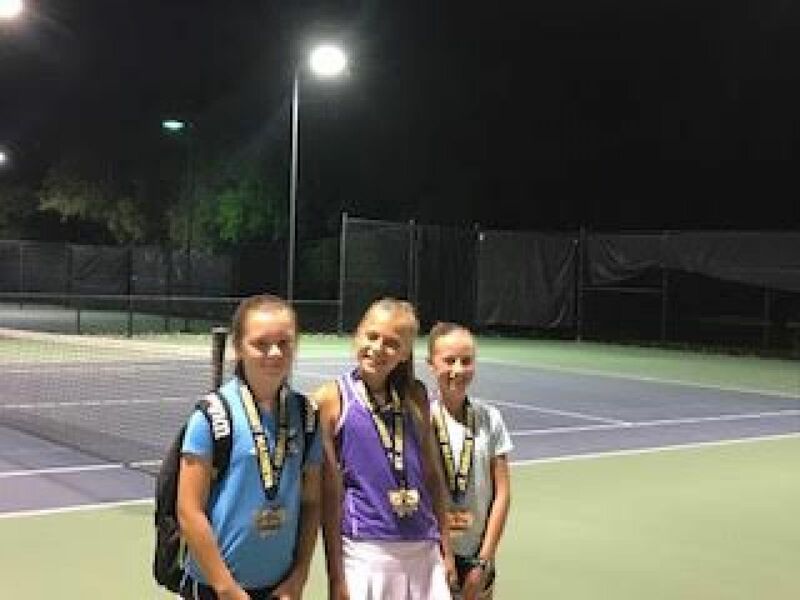 During our summer sessions we will be offering a discount on Summer Jam USTA Jr. Tournament in place of a Youth Session Tournament. Please see attendant for registration.